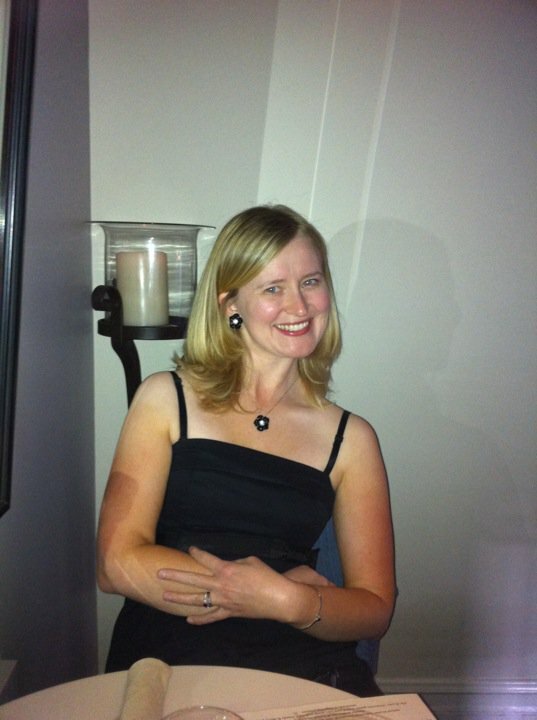 Juice Crafters - San Diego Dining Dish! On sunny, cool days, I'm reminded how lucky that I am to live in beautiful San Diego. The jacaranda are in bloom, lining the streets, and it's just a perfect day to be outside. 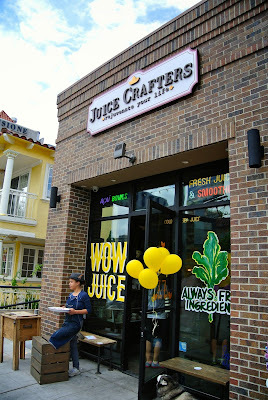 As we strolled, we became quite hungry, and since we were in Little Italy, we wanted to check out Juice Crafters. Founded in Los Angeles, Juice Crafters stores are popping up all over the San Diego metropolitan area. There are now stores in Hillcrest, Little Italy, and La Jolla. Their cold-pressed juices are made to order, using only organic ingredients. They also offer wellness shots and smoothies. After looking over the offerings, we decided to order two of their meal replacement smoothies, the Xclusive and the Crunchy Monkey. The Xclusive was sweet and light, made with cantaloupe, banana, almond milk, coconut butter, dates, cinnamon, almond butter, and vanilla. With all of the almond products, this has a very yummy flavor of an almond butter milkshake. It's light in flavor, but perfect for a wake up when too much is a shock to the system. The Crunchy Monkey was delicious! Combining cacao nibs, cacao powder, goji berries, walnuts, almond milk, dates, vanilla, and cinnamon, this tasted like a delicious chocolate and banana shake. There was also a definite texture from the nibs, giving the it the "crunch" in the name. There were several other interesting smoothies to try, and with health conscious diets these days, the juices and smoothies are sure to be well received in San Diego. yummy! we tried this place during Taste of Hillcrest and also their other location during Taste of Little Italy this year!